These are harnesses for the use of AEM’s EMS-4 unit. The factory ECU remains in place to control dash gauges, air conditioning, drive-by-wire throttle systems, and other amenities. The factory check engine light is controlled by the EMS-4 if possible, unless otherwise requested. 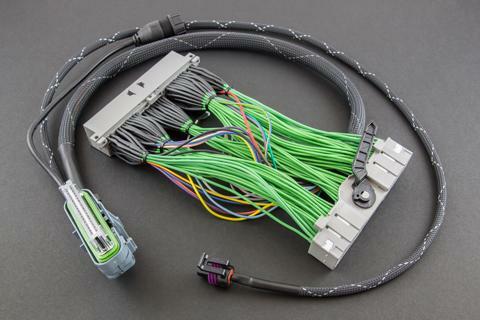 Dodge/Hyundai/Kia applications include a mandatory aftermarket 4-channel coil driver wired into the Boomslang harness.